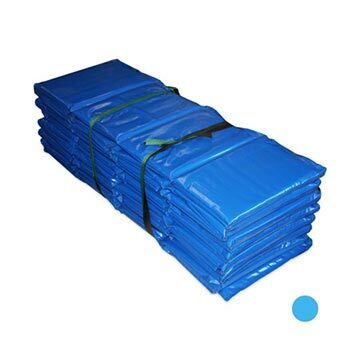 Our Pads are like a gymnastics mat as we use 550gsm PVC top and bottom. Did you know some companies cut costs with a lower grade material on the underside? Adjustable and replaceable elastic bungee cords to ensure no pad slap. With added drainage holes to let the water escape. Did you know that pads aren’t waterproof and it is important to ensure the water can drain out? Keep your family safe while they jump with our exclusive Oz Trampolines safety pads. 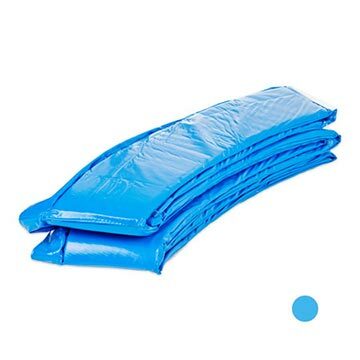 Made from high quality materials and backed by Australia's only 2 year warranty, these are the best pads for our harsh Australian conditions. 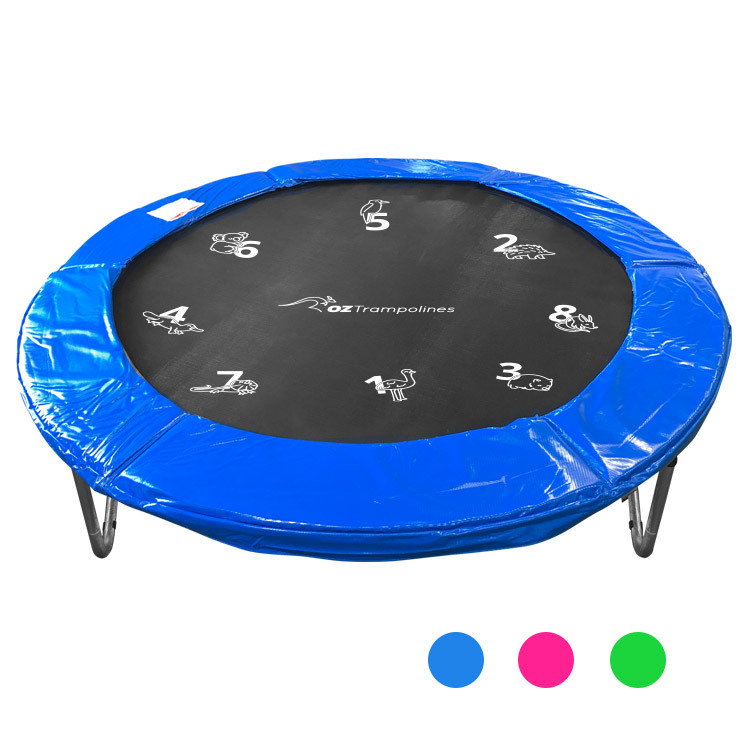 They’re available in 3 bright colours and the thick, UV-protected materials and superior design will ensure a safe, secure and comfortable bouncing experience for all. 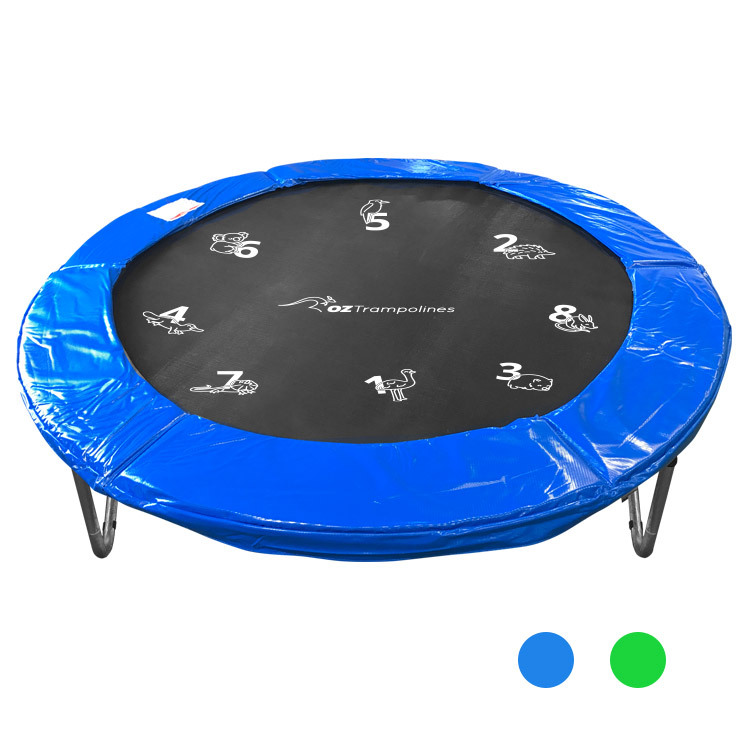 An Aussie owned family business since 2007, Oz Trampolines are well known for our industry-leading trampolines, voted best in Australia by our thousands of satisfied customers. And after more than ten years in the industry, our brand continues to be aligned with quality products, great value for money, generous warranties, free delivery and customer service that goes above and beyond. 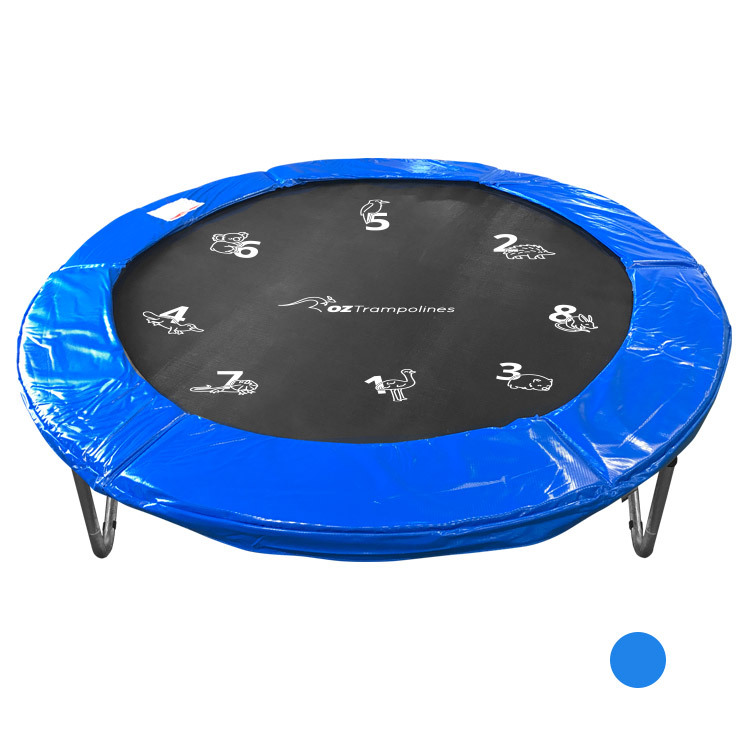 Ordering your trampoline pad is easy. Just give us a call at Oz Trampolines any time on 1300 393 004. And be sure to ask about our range of other great accessories as well.